Temperature Gradient Capillary Electrophoresis (TGCE) is a high-throughput method to detect segregating SNPs and IDPs in genetic mapping populations. However, existing software that analyzes TGCE data was designed for mutation analysis rather than genetic mapping. GRAMA (Genetic Recombinant Analysis and Mapping Assistant) is a new tool that automates TGCE data analysis for genetic mapping purpose. Data from multiple TGCE runs are integrated and displayed in an intuitive visual format. 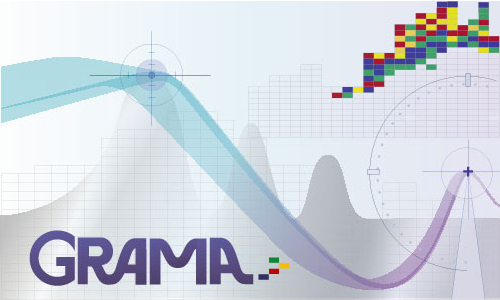 GRAMA includes its own algorithm to detect peaks in electropherograms, and peaks detected by GRAMA are automatically compared with those of another software package for any difference that will be flagged for user inspection. Analyses of the automatically combined genetic mapping results from GRAMA reveal high accuracy with virtually zero errors. Because of the accuracy of the calls and the intuitive interface, GRAMA boosts user productivity more than two-fold relative to previous manual methods. To download GRAMA, please register by inputting your email below. This is to help us keep track of download statistics.